Join the Language Institute (GTLI) as it celebrates its 60th anniversary. Founded in 1958, GTLI has guided students to success with quality English language education helping them meet their educational, professional, and social goals. 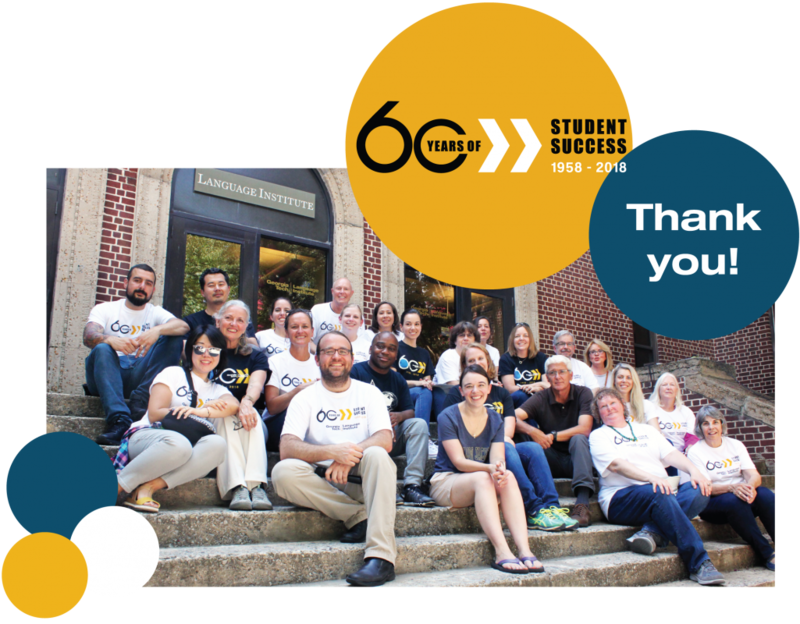 This year, the Georgia Tech Language Institute celebrates 60 years of supporting international learners from around the world to meet their goals of communicating more effectively in English. On Wednesday, July 18, from 2.30 p.m. to 4.30 p.m., Georgia Tech faculty, staff, and students are invited to a community celebration in the courtyard of the O’Keefe Building to mark this milestone. In the late 1950s, Georgia Tech was already leading the state with the number of international students pursuing degrees on its campus. Many of these students needed help in their communication skills in English. Dr. Luis Zahn, who was an assistant professor in Modern Languages, created a special summer program to help prepare incoming international students for the fall. In the summer of 1958, the Language Institute was born. Only twelve students participated in that first program. Since that first summer, the Language institute has worked to meet the needs of thousands of international learners who have come to Georgia Tech with the hopes of pursuing a degree at Georgia Tech or in the U.S. In the 1970s, the Language Institute expanded to a year-round program as the demand for English language training grew. The Language Institute was an early promoter of life-long learning. In the 1960s, the GTLI offered evening courses to professionals in the community who were seeking language skills to help them get ahead in their jobs. 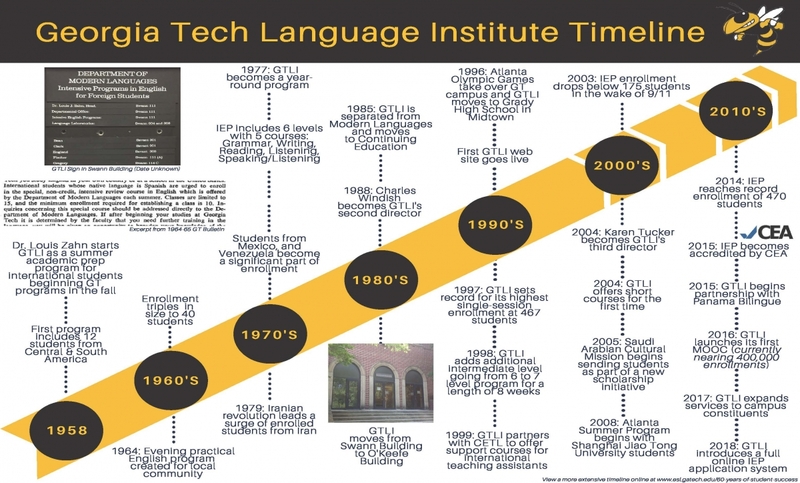 The Language Institute remained part of Modern Languages through the 1970s and helped support the expansion of foreign language courses in French, Spanish, and German as interest in those languages grew at Georgia Tech. In 1985, because of differences in funding, issuance of credit, and academic tenure, the Language Institute moved from Modern Languages to Distance Learning, Continuing Education, and Outreach. Soon after, Dr. Zahn retired and the leadership of the Language Institute went to Charles Windish, who had been teaching at the Language Institute for ten years. In 1988, the Language Institute made a geographical split from Modern Languages and moved from the Swann Building to the O’Keefe Building. This began a period of great growth in enrollment for the Intensive English Program. With booming economies around the world, the demand for language training in English at American universities also grew. With Atlanta hosting the Olympic Games in 1996, the Intensive English Program exploded in enrollment reaching over 460 students in 1997. At the same time, the number of matriculated international students at Georgia Tech grew. The Language Institute also looked for ways to support the matriculated international students at Georgia Tech. In 1999, the Language Institute partnered with CETL to offer courses for international graduate students. This partnership is still going strong nearly 20 years later. Enrollment at the Language Institute have always been greatly influenced by world politics and economic events across the globe. In 2001, September 11th happened and enrollment plummeted. It was a challenging time for all language programs in the U.S. At the end of 2003, Dr. Windish decided to retire. In 2004, Karen Tucker became the third director of the Language Institute. This began a new period at the Language Institute of program expansion. With the help of the Language Institute faculty and staff, the Language Institute created evening courses, short courses, and customized programs. At the same time the Language Institute expanded its support to the international community by creating special courses for graduate students, spouses, and international visiting scholars and postdocs. In the past decade, the Language Institute has expanded its programs to include teacher training and customized programs for partners on and off campus including a pre-MBA program for incoming international MBA students at Emory’s Goizueta Business School and an honors exchange program in collaboration with the Schools of Math and Physics. Two years ago, the Language Institute in collaboration with Coursera, created several MOOC courses in professional communication. These five MOOC courses have enrolled nearly 400,000 learners. The Language Institute has partnered with Graduate Education and CTL to continue to expand the support for the over 3000 International graduate students on the Georgia Tech campus, including an online academic research writing class, a four-week summer program for incoming graduate students, and a screening process and additional support for international teaching assistances. On Wednesday, July 18, faculty, staff, students, alumni, and campus partners gathered to celebrate 60 years of the Language Institute helping international students and professionals reach their goals and gain a deeper cross-cultural understanding. Georgia Tech has as one of its goals to create better global citizens. The Language Institute is proud of its role in helping create better global citizens for the past six decades. We look forward to continuing this important work in the years ahead. View an album of photos from the July 18 celebration on Facebook. Look back through the first 60 years of the Language Institute with our extensive timeline. Click the image below to download a PDF version of the timeline chart, which features highlights from the extensive timeline. We asked our former students how their students at GTLI have helped since they left GT, what they are doing now, and what are their favorite memories of GTLI. Below are some of the responses we received. Check back for more stories to be added. 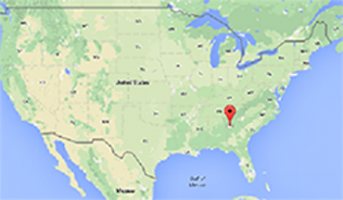 How have your studies at GTLI helped you since you left Georgia Tech? Both my spoken English and my written English have become better. Also I’m more confident to show my English. It helped me to study Chemical Engineering in the US, to get an interniship with Cargill and Nestle, and it helped me to get my full time job today as an engineer. I am the founder and president of the first Saudi interfaith organization Saudis for peace. I work for King Abdullah center of inter-religious and inter- culture in Vienna Austria. I am going to start my master degree majoring in countering organized crime and terrorism in University of college London this year. What is your favorite Language Institute memory? It is difficult to pick one memory, so I'm going to make my top ten list: 1 Dancing and talking to everybody on Fridays (Language Cafe). 2 Sharing ideas with my teachers. 3 Being volunteer to welcome new students. 4 Making the promotional video for the Language Institute. 5 Doing activities related with the seasons and holidays. 6 Teaching handmade jewelry to the women club. 7 Developing projects with Karen Peterson. 8 Being at Lena's reading discussions classes. 9 Enjoying Marsha Walker's games for the vocabulary class (I still remember fancy words from that). 10 Going back home with my friends form the Language Institute. I was new at language intitute and I joined to the one project. Our teacher sent us the message to speak in front of new students and I accepted by mistake. But I successfully did my presentation. I had a lot of good moments at GT, but the best memory I have is the “family feeling” I experienced while there. Staff and professors actually cared about me improving and were always willing to help me and my classmates out.